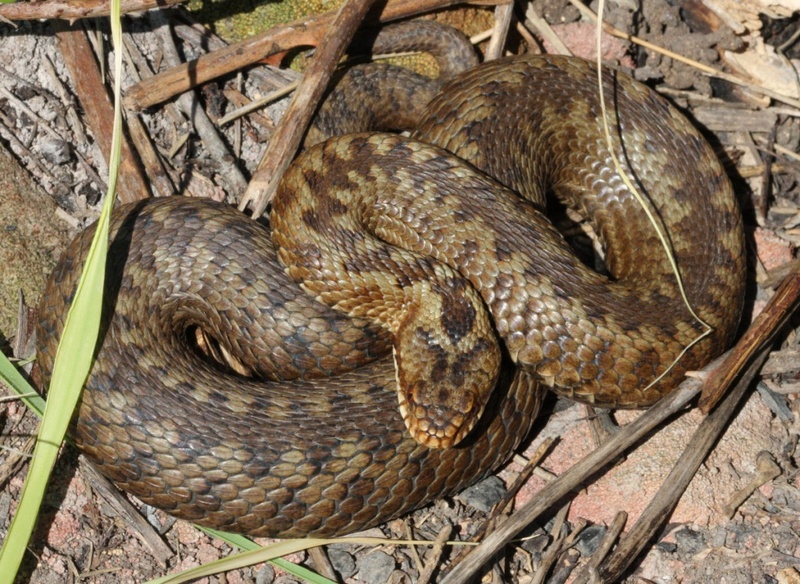 Adult length: typically up to 65 cm; exceptionally up to 90 cm. 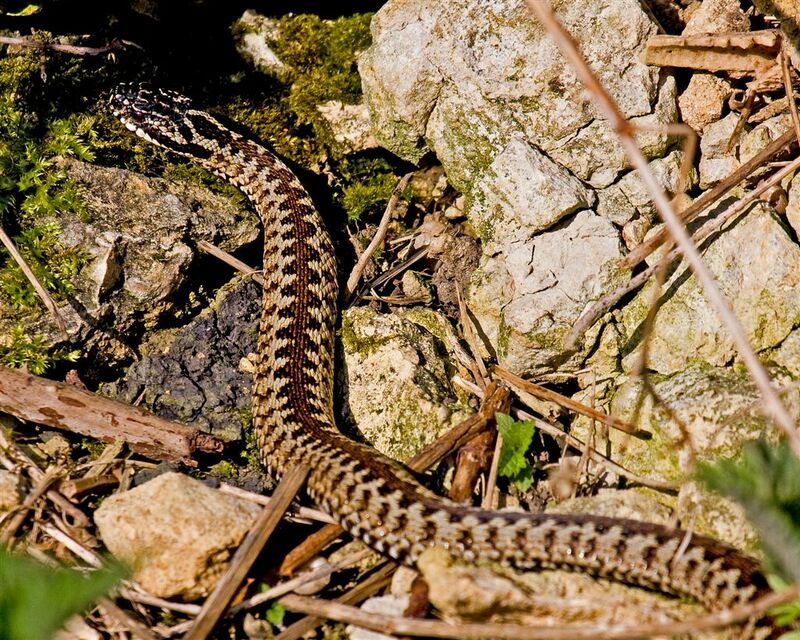 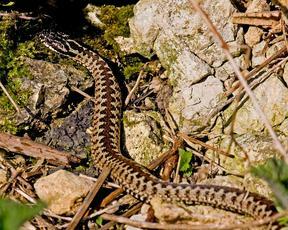 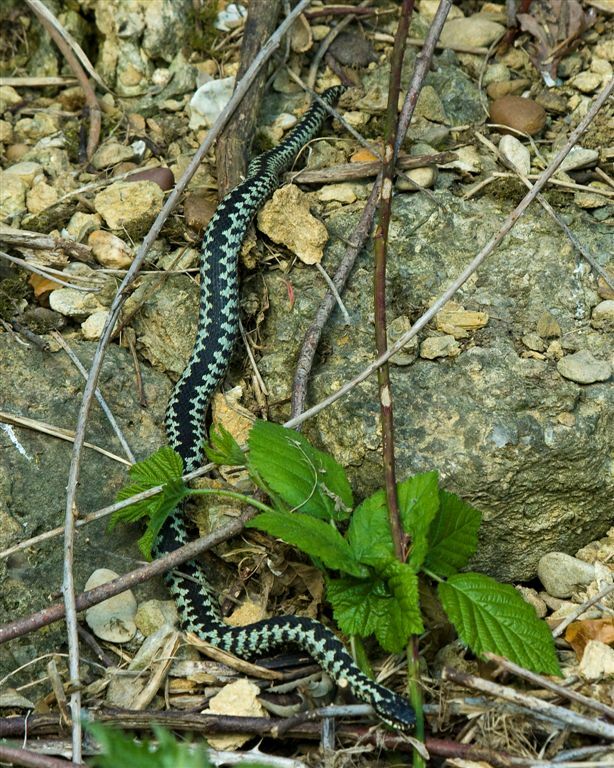 This stocky snake is easily identified by the dark zigzag line passing along the back bordered by rows of spots. 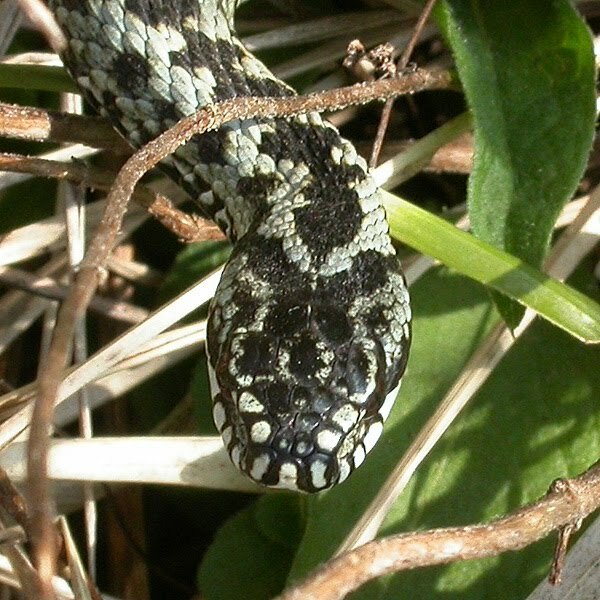 A dark mark which takes the form of an 'X', 'V' or 'H' is located on the rear of the angular head and the pupil is vertical. Males are greyish, whitish, pale yellow or cream in colour with very dark contrasting markings, whereas females are typically a brownish or reddish colour with brown markings. 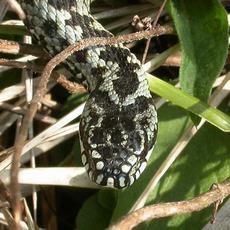 Females also tend to be longer and wider than males and have shorter tails. 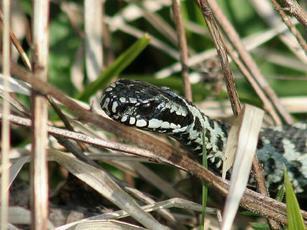 Found in a range of habitats including open heathland, woodland and moors. 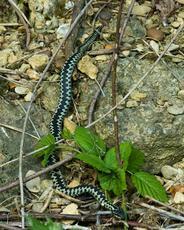 It requires sunny glades or slopes where it can bask and dense cover in which to take shelter. 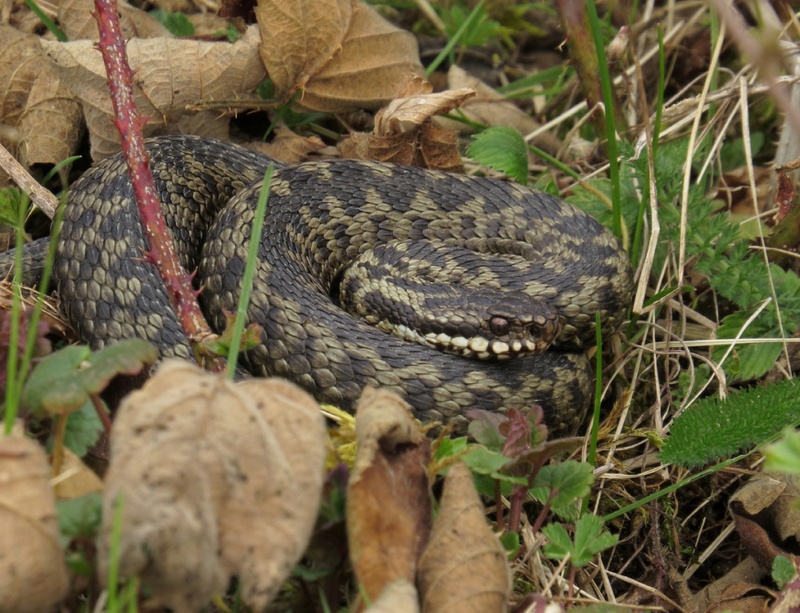 From March until hibernation in the coldest months. 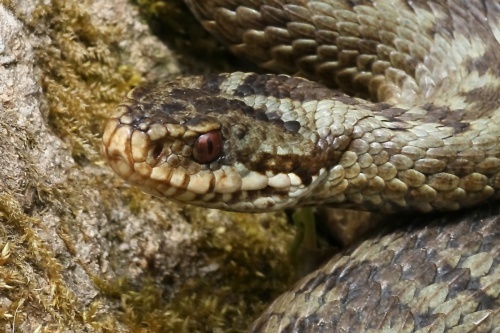 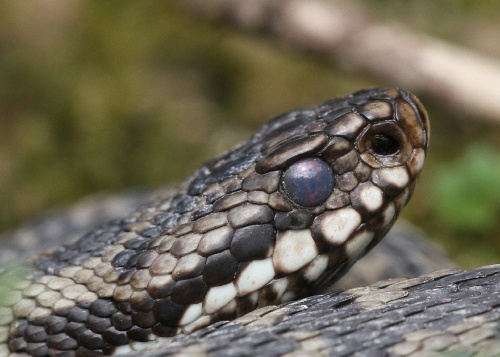 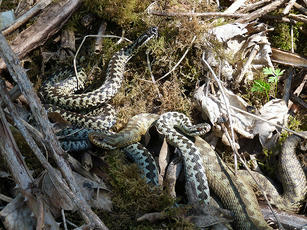 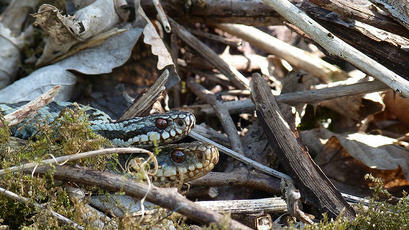 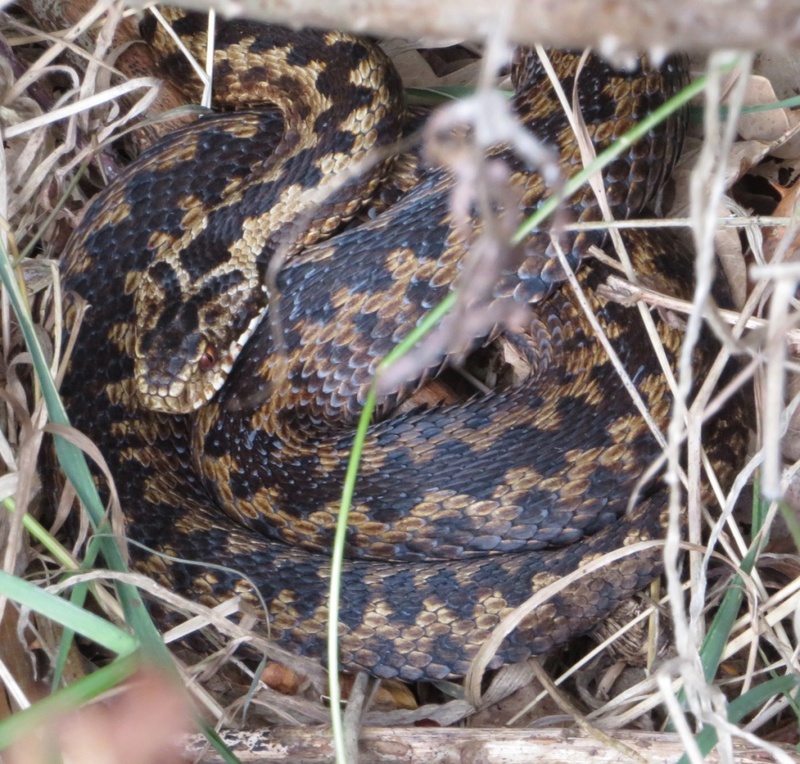 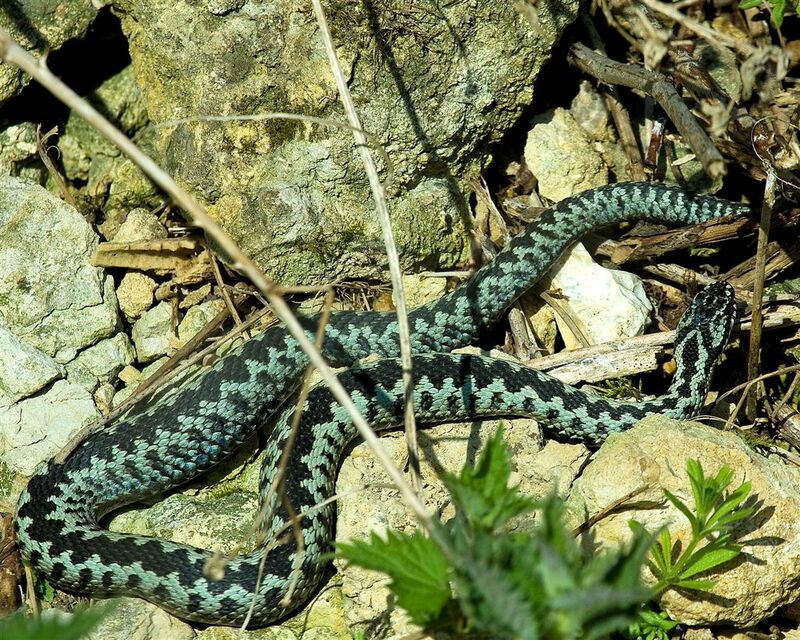 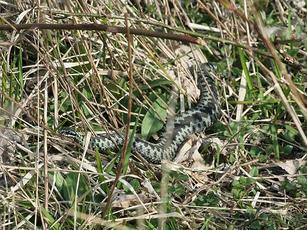 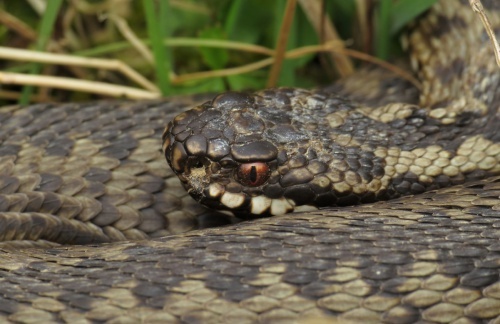 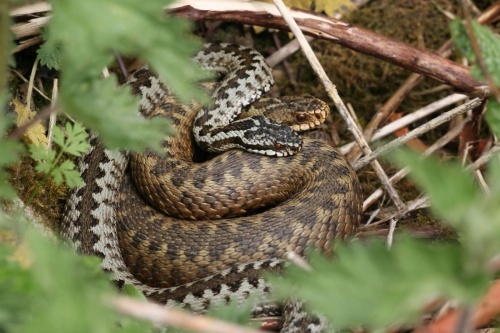 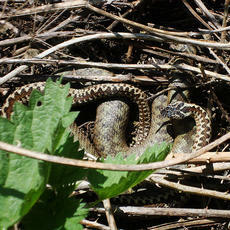 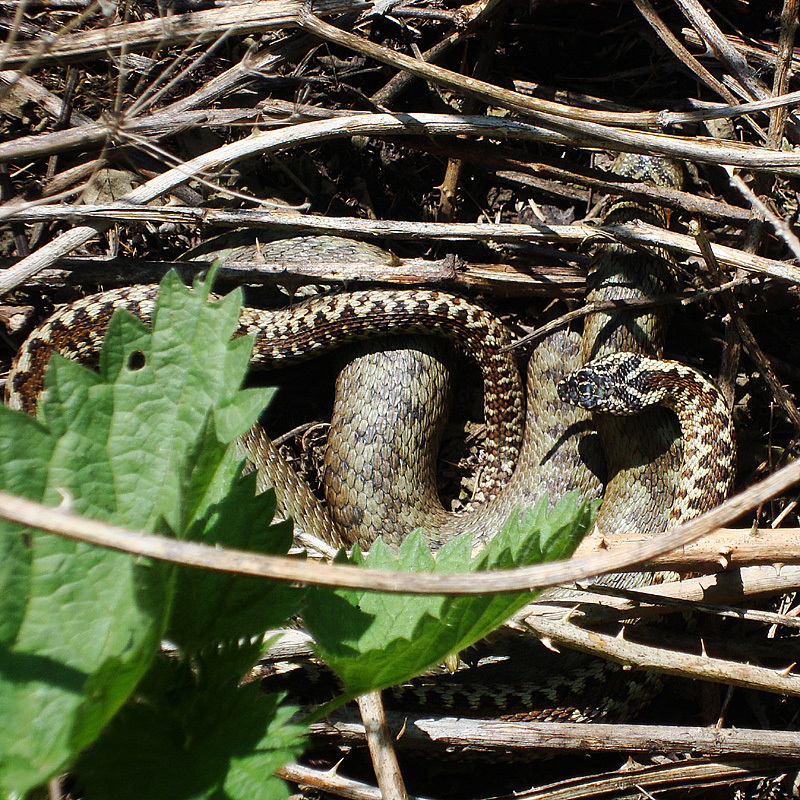 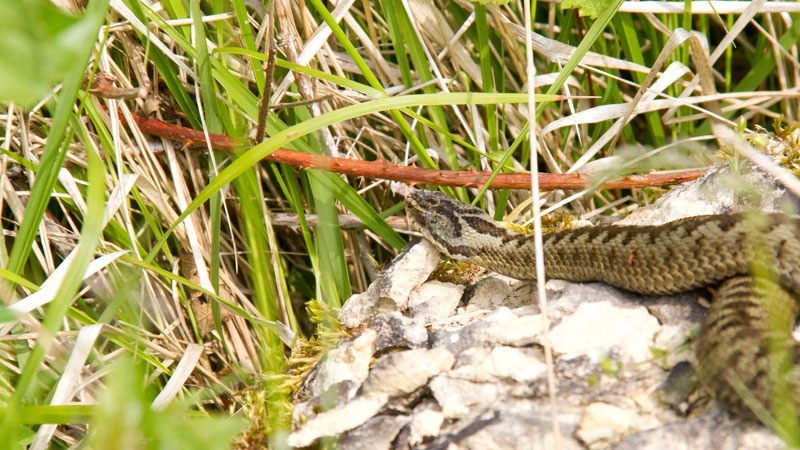 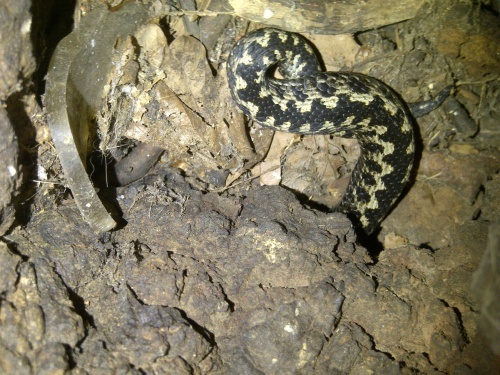 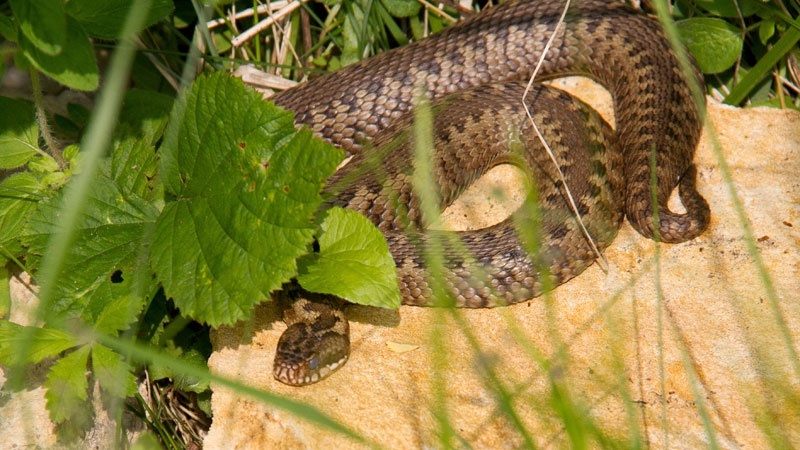 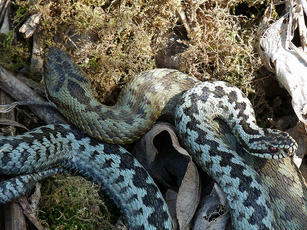 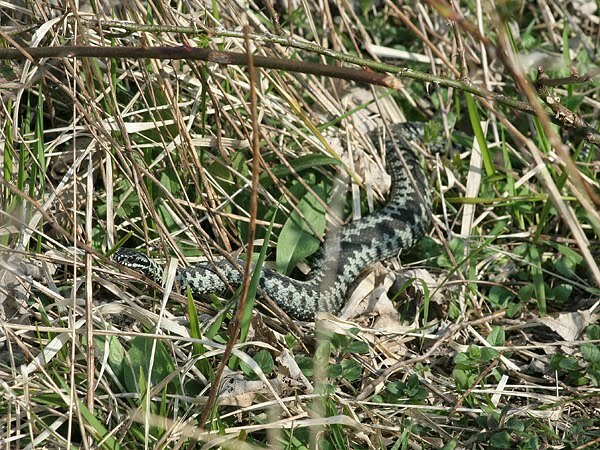 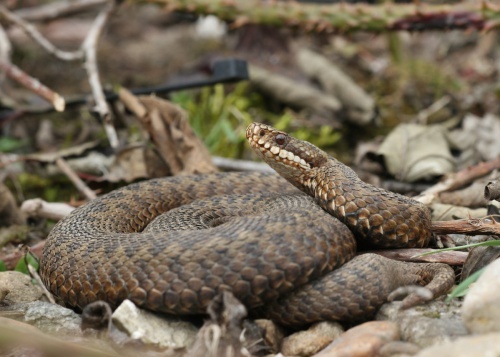 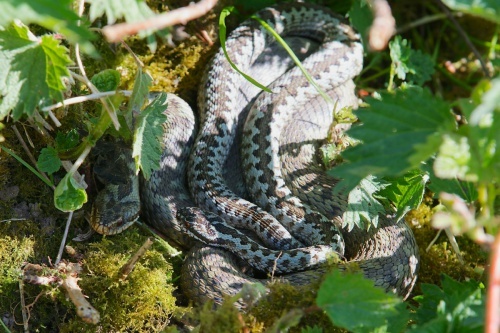 Adders are typically active during the day, when they hunt mainly for small mammals, including voles, shrews and mice. Lizards, young birds and frogs may also be taken. 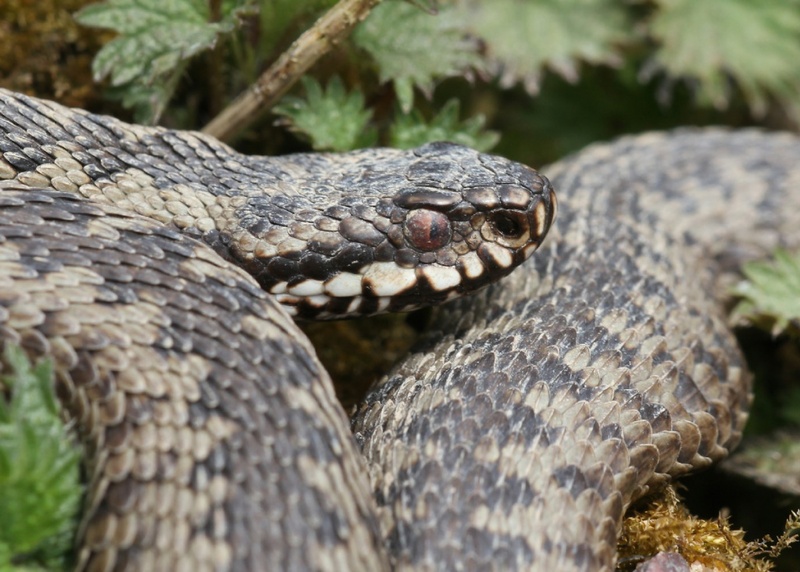 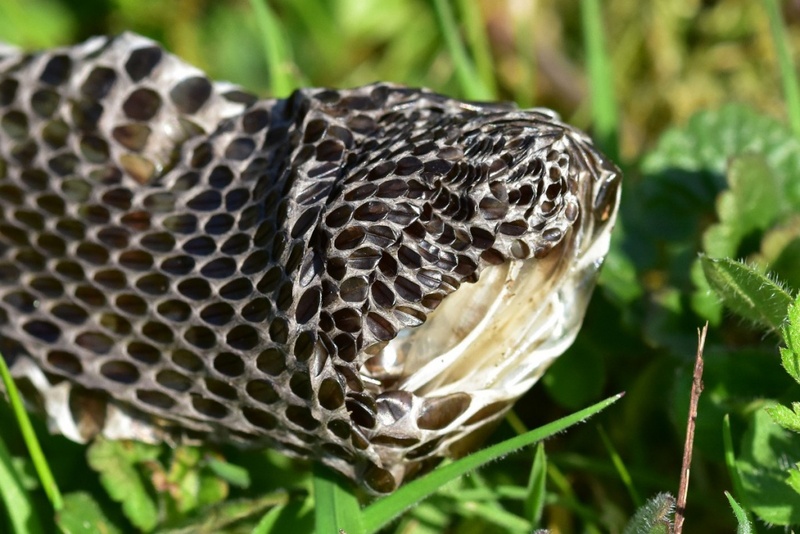 Adders do not feed until after they have mated and so, during the time before mating, both the males and females live off fat reserves that they built up during the previous year.